Back in 1974, the first iteration of Dungeons and Dragons was published. This was the dawn of the modern roleplaying game. One player, called a Dungeon Master, or DM for short, coordinated the adventure for a group of players. Unlike video games and even other board games, Dungeons and Dragons didn’t have much (or sometimes any) visual aids, so it was up to the Dungeon Master to tell the story. What was happening? Who was involved? What does my character see? The DM either can create this adventure themselves, which is a very lengthy and difficult process your first time, or they can purchase books and campaigns that come prepackaged, which tells them all about the adventure to lead, what sort of enemies to throw at your adventurers, and more. These books are great for beginning adventurers and DMs and come with everything needed to play. I also want to specify that D&D isn’t about the DM versus the adventurers, but rather imagine they are the one coordinating the adventure and controlling the enemies, but it isn’t the DM’s goal to win. It’s the Dungeon Master’s goal to tell a great story and make sure everyone is having fun. Now I’ve been mentioning the adventurers, so let’s get into that. The group of people actually playing the game are each controlling a character, either that they’ve chosen from some pre-designed choices or that they’ve created themselves. Just like the Dungeon Master has a book (or more specifically, books), so do the player characters. If I’m new to D&D, I might choose a character that is pre-designed. That means I don’t need to worry about the more complicated parts of creating a character. If you want a more comprehensive experience, you can use these Player Handbooks. You’ll find a race that you want, such as an elf or human, and then you find a class that your character would be, which would be something like a thief or a warrior. Of course, I’m oversimplifying, as there are many classes and subclasses within the traditional umbrellas of things like thieves and warriors. You might think, that doesn’t sound that complicated. After you choose your race and class, you then need to pick certain skills you’re good at, which are given to you based on your other decisions. As a warrior, do you focus on skills that deal damage or skills that protect your party? You pick the specific skills that you’ll have access to. The books give you info on what those skills do, in terms of the game, and how to do them. We’ll get into gameplay in a second. When creating a character, you also pick stats for your character. Things like intelligence and strength. If your warrior has a lot of skills that rely on their strength number, you’d want this to be a high number. The books tell you how many points you have and how you can distribute them. You can also create a background for your character, now that you know what they’re like in the game. This really only impacts the story, but it gives your character motivation. Maybe your wizard is best at ice magic and you decide that their parents were killed by a fire monster, so it motivates your hero to find and best that villain. The Dungeon Master might find inspiration from your backstory and they might find ways to introduce this villain into your story. Okay, so you have a Dungeon Master that has a cool story to tell and you have a group of people ready to play. 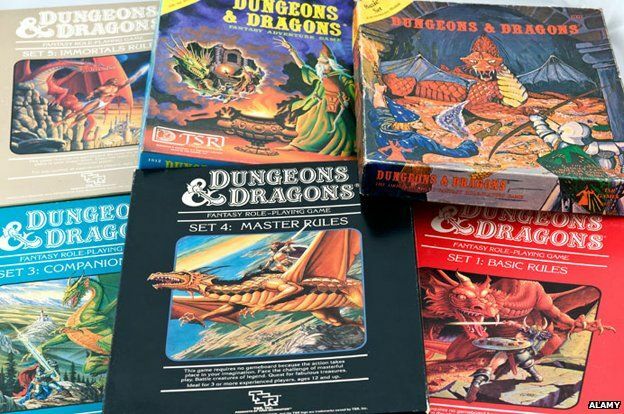 There are different versions of Dungeons and Dragons from the last 40 years, so the gameplay might be a bit different depending on which version your friends are playing. Some have very tangible props, such as grids and models to represent your battlefield. Some of the prepackaged adventures come with grids that are cool to look at, helping to set the scene. Some versions of the game are much more informal and conversational. “How close am I?” someone would ask, instead of referencing a grid. The Dungeon Master would just paint a word picture of the scenario instead. After they set up the story, they often would give the players clues as to how to proceed. Experienced players go along with the story, because they know that’s where they’re supposed to go. Inexperienced players might try to do something completely off the path and therefore make the DM’s prep work all for nothing. In the game, players just say what they want to do and the DM continues the story. If they want to do something that might be difficult, the DM might ask them to do a check. “I want to sneak in here.” “Do a stealth check.” What they roll on the dice, plus their stats, determines if it’s successful. That is why those stat numbers are important, as they allow your character to do things that make sense. A strong warrior should be the one to kick down a door, not the wizard, because the warrior will have a much better chance. I won’t burden you with the math, but the DM usually has a chart of what sort of dice rolls would be required and what sort of modifiers to keep track of. Again, the DM is there to make sure everyone’s having fun, not to blatantly kill their characters off. So it’s a balancing act of making the journey difficult, yet not impossible. Often, the DM has a screen or board to protect their dice rolls, so they may even lie about dice results, in order to serve the story and keep the adventure going. DMs might decide to be truly transparent and honest, while others put the story first and want the flexibility of fibbing a bit if they need to. So your adventurers go about on a journey, coming across monsters and all sorts of evil things. How you tackle these problems is up to your group. A character with a high Charisma score might talk their way out of a conflict, while others might charge in. You may have skills, weapons, or accessories that allow you to do special things in the moment. The DM should always encourage creativity and allow the players to use interesting means to solve the problem. After adventures are over, characters can level up, meaning they gain more stat points and potentially new skills and abilities. Leveling up also means your enemies will be more difficult as well. And that’s the basic gist. Now let’s look at the cultural impact. Back when Dungeons and Dragons was still relatively unknown, it gained a reputation for being satanic, mostly due to aggressive campaigning by Christian organizations. 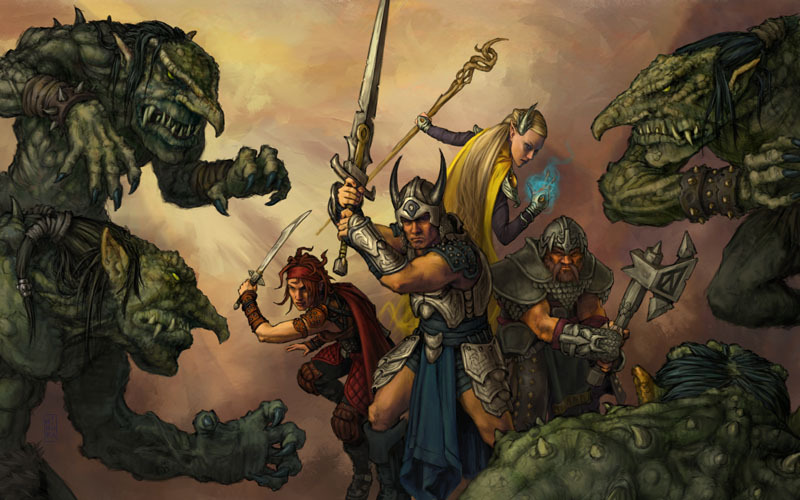 For a while after, the game removed references to demons and witches, until about 1997 when a company called Wizards of the Coast bought the rights to Dungeons and Dragons. 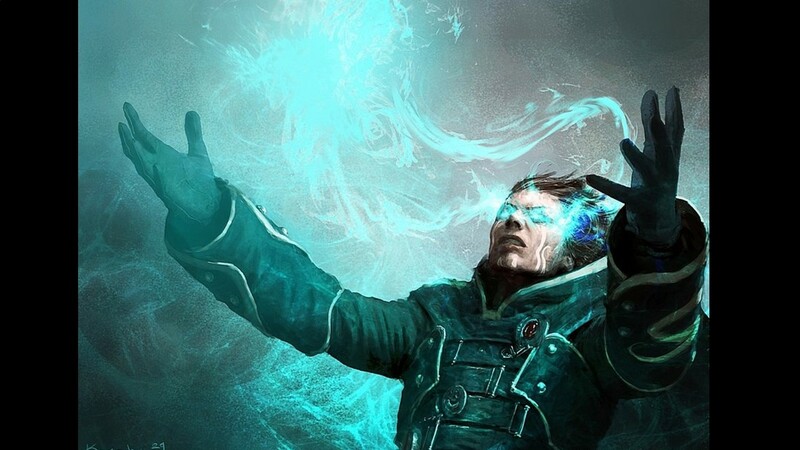 Wizards of the Coast already owned Magic: The Gathering, which featured many of the same types of demons and monsters, so they began reintroducing them into D&D. 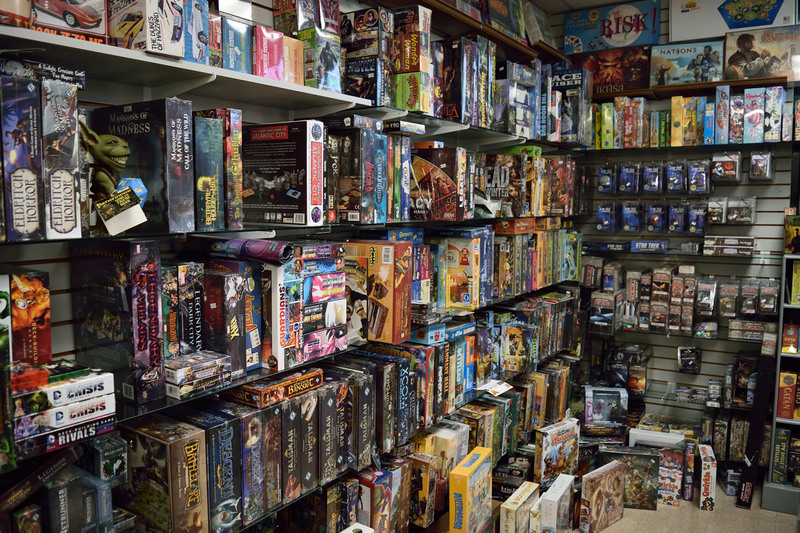 When you walk into a store now, and see the massive display of roleplaying games, most of them owe their existence to Dungeons and Dragons. It was the first game to really focus on 20-sided dice, using numerical stats for characters, and was one the first to popularize the Dungeon Master role, which is now almost universal among roleplaying games. It’s also become much more mainstream, though many people don’t understand the rules. There are popular podcasts and YouTube channels that feature roleplaying games. A notable starting point for any of you interested in hearing this all play out… Check out a podcast called The Adventure Zone, where three brothers and their father (who’s never played D&D before) dive headfirst into an adventure. It’s a comedy podcast which will have you rolling, even if you don’t understand (or care) about the rules behind the scenes. If you’re interested in D&D but don’t have anyone to play with, The Adventure Zone is just one of many D&D venues that is pretty easy for newcomers to dive into. Many celebrities have come out as players of Dungeons and Dragons, including Stephen Colbert and Vin Diesel, who has been making the rounds lately playing D&D on a few popular sites. Director and actor Jon Favreau even credited D&D for his imagination and ability to tell stories. In terms of licensing, there’s been a fair amount of Dungeons and Dragons movies and television shows, though none of them have really been successful. There are also a lot of videogames set in various D&D worlds, though that also has a very hit-or-miss reputation. As of right now, we’re technically in the 5th edition of Dungeons and Dragons though, again, people still play other versions, especially if they’ve invested in books and campaigns for that version. If you’re interested, either look up a starter kit that you can use with your friends, or you can find local shops and groups that might be interested in letting a new player in. Some campaigns and stories can last for years, so don’t be offended if they don’t want to let a new player in, as explaining some of the rules of play can be quite timely. Maybe just browse YouTube channels and podcasts to find some adventures to listen to, and see if that scratches the itch for you. As always, let me know in the comments what other facets of nerd culture you want to dive into! This entry was posted in What Is and tagged adam ryen daniels, cultural impact, d&d, dnd, dungeons and dragons, fantasy, i am your target demographic, iaytd, role playing games, roleplaying, roleplaying games, rpg, satanism, sorcery, wizard, wizards of the coast. Bookmark the permalink.